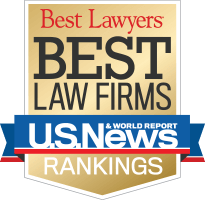 A list of real-time full reviews of Attorney Saadzoi can be found on Avvo (A lawyer rating directory), Google Reviews and Facebook. She was very caring and knowledgeable. I had a very pleasant experience throughout the whole process. I recommend her services to everyone. If you have a DUI problem in Chester County, PA, you definitely need to see Wana Saadzoi. Wana and her team assisted me with handling a marijuana related DUI. My case presented some unique challenges as I had pre-existing plans to move across the country, which could have been complicated by my court proceedings. Wana’s team provided me with comprehensive information up front and consistent communication throughout the duration of my case. Through their efforts, I was able to get my court dates shifted in such a way as to not interfere with my move. Wana’s team also helped me get accepted into the Chester County ARD program on non-reporting probation, which was extremely helpful given I had moved 1000+ miles away from PA. On top of everything else, Wana is a great person with a fiercely sharp mind. She was very easy to talk to about all of my case details, and she was flexible in working with me on setting up payments for my legal fees. All in all, I am extremely pleased with the services Wana and her team provided, and I would highly recommend them if you find yourself in need in Chester County. I hired Wana initially for a 0.09 DUI. Two months I went unconscious having a seizure and hit a pole. (no alcohol/illegal drugs involved) besides my Dr. prescribed medication (taking as prescribed for years). I was floored to learn I was facing a second DUI for that. After meeting with Wana, you see she cares and treats you like family. She fought hard resulting in multiple charges being dropped/reduced. She has great working relationships in the law community which resulted in me getting the lowest possible eligible sentence. I only face 5 weekend days in jail as opposed to 90 days as losing my job. As a result, I continued to work to pay my court costs, restitution, fines etc… I would recommend Wana to anyone because she is very intelligent, trusting, caring and professional and constantly stay In contact with all her clients. In addition she has many year and experience and and always arrives early. Lastly, Wana has fair costs and can work with you. I would definitely recommend Wana Saadzoi to anybody looking for legal counsel that you can trust. One word to describe Wana… AMAZING. If you want somebody who actually CARES and will put in the effort for you, hire Wana. Getting a DUI, is easily one of the worst experiences of my life. It’s terrifying, it hurts everything.. from your freedom to your bank account. I was STRESSED out but Wana literally made it as painless as possible. She sort of doubles as a therapist, which is a plus. With her as a lawyer I got into the ARD program in PA, she advise me to do all requirements early so I wouldn’t miss much work, and eventually she will the whole arrest expunged. She always responds to texts and phone calls. and was ALWAYS on the ball with my case. She’s honestly the best. Thank you so much Wana! Wana and her team were amazing from the beginning. 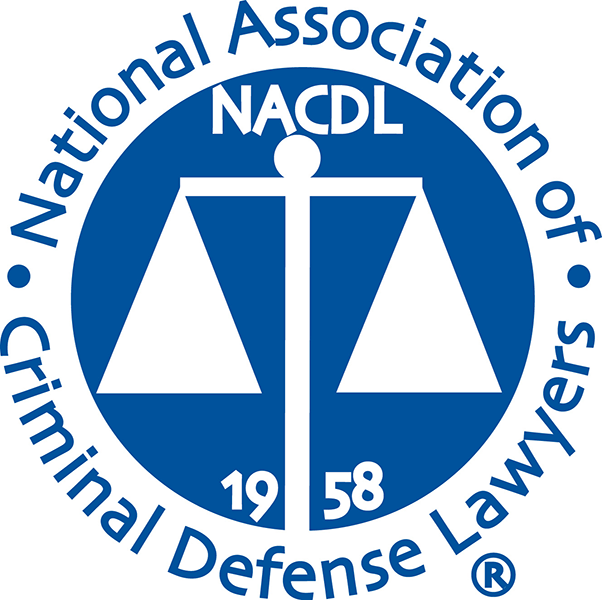 Helped me feel confident in my DUI case and assisted me through the WHOLE process for my ARD application. I couldn’t be happier with the outcomes. I would hire her again in a heart beat. Thank you for everything. Wana Saadzoi represented my son. Kenny was Represented by one of the best Lawyers. She knows exactly what she is doing. She is very Professional and respectful to her clients and the court system. She is patient and does her job well. I came into Wana’s office and explained my situation to her. I got my SECOND DUI in Chester County, I was stressed out couldn’t believe I got my self in this situation again and she kept it truthful with me, didn’t try to sell me a dream or told me everything is going to be ok, then everything wasn’t. She is professional, caring, and a strong and open minded person. If you want a lawyer to handle your case and keep you updated and informed on what’s going happen before it happens hire Wana. I choose Wana because she seemed like she would care more about my DUI case more than some other lawyers I talked to. And I was right, she did a wonderful job! She walked in the court room and everyone respected her. She is very knowledgeable and was always willing to assist me with anything I had trouble with to complete my ARD requirements. I highly recommend Wana to represent you in your case. I choose Wana I was recommended from a friend who said she is very successful in her cases. After speaking to a few other lawyers in media I felt like Wana was the most helpful and she guided me in the best way possible for my case. I am very pleased with her and I am thankful that she is my lawyer. I vote her one of the best lawyers around! Thank you Wana! Right from the start everybody from Wana’s office was very welcoming. I was so worried going into this whole situation because this was my second DUI and I was looking at a lot of jail time due to my very high BAC, but Wana was able to get my sentence reduced with only having to do weekend surrender and just three at that with some community service. She even gives you her cell number just in case you ever have any questions and she actually responds! If you are looking for a very personal lawyer that will really fight for your rights I really recommend her! Second DUI/ Highly Recommended She Is The Best! I was charged with a second DUI last year in Chester county, I had no idea what I was going to do. With the Law office of Wana it was different since the beginning, they took their time to answer most of my questions and really show internet, free consultation, what else you can ask for? Wana was able to get me into a special program to do only the minimal of my sentence, saving me time and eventually money, I was afraid I was gonna loose my job, reputation and be unable to pay all my bills… She got me the best outcome possible and for that I can’t thank her enough! In a few words: you need a lawyer? Well Wana is the one! This was a Delaware County drug case. Wana made sure the Judge, DA and parole officer realized that her client had an issue with drugs and needed help and he received it. She is an advocate for people suffering from addiction. We would definitely hire her again. During my experience with Wana Saadzoi, she helped me get through a very hard time of my life. I was facing a max sentence of 10-20 years for a drug ring case and was charged with 5 felony’s and 2 misdemeanors. We went from district to media courts. When we had the pretrial conference, Wana had filed at least 10 motions. “Motion to Quash” was one of the motions that was also filed and that was the motion the judge granted. The case on my behalf was the first to be thrown out, out 14 other people. It took about 6 & 1/2 months to have the case thrown out. Wana is a Excellent lawyer and is well worth the money. If I ever need a lawyer for anything else, she will be the first lawyer i’ll give a call to and I will highly recommend her to others. Wana I believe to be the best lawyer there is. She helped me get out of a very difficult situation. There is no one else I would want to use to handle any and all of my legal situations. I had a marijuana related DUI in Delaware county and she helped me fulfill all my requirements for ARD and coaching me through the process. Great lawyer, great person and available to talk whenever. I had an UGLY traffic incident and was given multiple tickets. While I admit to making a mistake, the punishment was not equal to the mistake. Ms Saadzoi and her team did a great job researching the situation and made the court see reason. They made the whole experience as stress free and easy as possible. They were a pleasure to work with. If I could give her 10 stars! We hired Wana to help our son with a relatively minor issue. I liked here immediately because I could sense her care, concern and compassion. She showed up early for our hearing and spend that time not only preparing us but giving my son some great advice on life that was well accepted. I would hire her again in a minute. Wana was amazing from day one. She is extremely focused and has her attention on every detail of the case. If I was concerned about something, all I had to do was shoot her a quick text and she immediately resolved my concerns. She makes sure you know exactly what is happening and ensures you’re always prepared. She’s a lawyer worth getting. I was impressed with how Wana helped me navigate my legal issues in Delaware County. Wana was very professional, helpful and approachable. She always made sure I understood the situation and all possible outcomes. I am thankful to Wana for defending me and I feel she was the force which enabled me to be accepted in the ARD program. I honestly don’t think my case would have had the same outcome with other lawyers. And I know it would have been more stressful. Thanks Wana for enabling me to continue with my career plans. I hired Wana as my lawyer for my 2nd offense DUI. This DUI was my 2nd in 10 years, I got into a accident. The first time at my preliminary hearing Wana beat the case, however under the law, if you beat your case at the preliminary hearing the officer can re-arrest you for the same crime. So my second time in court for the same DUI case Wana used a Supreme Court case to save me from 90 days in prison and 5 years of probation. Wana never gave up on my case, she made it so that my payments were reasonable and allowed me to pay at my own pace. Anytime i had questions or concerns she was always available to answer them. 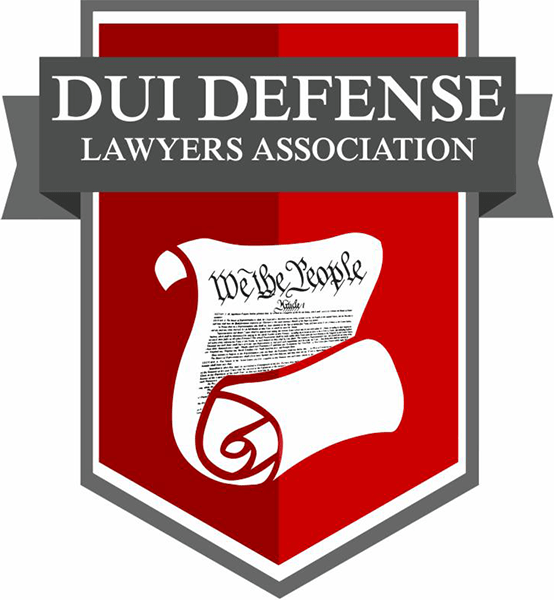 Wana is supportive, upfront and honest, and has much knowledge of all the little things that can happen in Chester County’s court system for DUI cases. She took a lot of stress off of me during this trying time in my life, i am happy that I chose her to represent me. Wana is a lawyer of great professionalism. Wana and her team did an excellent job of making this process run as smoothly as possible. She took care of everything down to all the small details and made sure I was aware of everything that could impact me. I felt very well prepared and confident throughout this process because of her and would recommend her to anyone seeking representation. She makes everyone feel like a priority and has a great team backing her as well. P.S. I am more than pleased with the outcome of my case. Now I am a Citizen! A previous lawyer said that my case was full of gloom and doom because I was behind on my federal income taxes. I have been through some hard times and finances have been very tight. Now my green card was due to expire, so some action was necessary. Wana said that my citizenship wouldn’t be an issue as long as we provided an adequate explanation for my delinquency. She worked hard to get all the right paperwork together and appropriate letters were drafted, written, and signed. After what seemed like forever, the USCIS finally scheduled an interview. It went quickly and just a few weeks later I received the invitation to attend the swearing in ceremony. Now I am a citizen. Wana’s fees were significantly lower than those of my previous lawyer and she obviously did a perfect job. I was thrilled by how patient and organized Ms. Saadzoi was. She handled everything in a very professional manner and the outcome was unbelievable. I would recommend her on anyone who wants to apply for Citizenship. Thanks and I will still keep in touch because you are also my mentor. “At least that is how I feel”. Wana Saadzoi was my lawyer in a DUI case. I was confident that I was innocent. She made sure to let me know how confident she was in me and my innocence. She also made sure to be prepared for all possibilities. Thankfully I was proven innocent at my preliminary hearing. Wana had a built an aggressive defense, just in case. She is very friendly, I would recommend her. Ms. Saadzoi was able to assist me at the drop of a hat. She made me feel as if I was her number 1 priority, though I’m sure she makes all of her clients feel that way; you can just tell she’s that type of lawyer. Though I hope I don’t ever find myself needing legal representation again in the future, I have always, and will continue to recommend Ms. Saadzoi to any of my friends and family that need any sort of legal assistance-especially in Delaware County. Wana represented my son well; gave good advice from their first meeting, and followed that up with great support at the hearing. We respect and trust her judgement. Wana is search a pleasant lawyer. She make you feel very comfortable. I had a legal problems that I thought couldn’t be solve she was recommended to me by another lawyer.she is very intelligent and know exactly what she’s doing.when I met her and I started to explain my satuiation, she told me don’t you worry everything will be fine and she did just that.I am very happy that i met Wanna and very happy with my case outcome. I will continue to recommend her as one of the best lawyer.she have great people working with her. I have been an administrator in education for over 25 years and a teacher prior to that time. When I contacted Wana for help it was for my son and the trouble he was facing. When I found my own child in a situation where I did not have the expertise to help him, Wana was there for him. She was recommended to me by a professional I work with in my field and she could not have come at a better time. There is not a day that goes by that I am not thankful for her knowledge, skill set in the courtroom, and her ability to make sure my son was prepared for court and well versed in all the facts needed to move forward. Wana is not only an excellent attorney but she has the sensitivity and compassion to see the real person on the other side of the table. She was wonderful in the trial and handled herself with poise and professionalism in the courtroom. I could not have asked for more. I would not hesitate for a second to recommend her to anyone who needs legal counsel. She is someone you trust to help you through whatever you may need. I highly recommend Wana. Through my entire process she made me feel at ease and kept me well informed! She was very professional as well as very down to earth and easy to talk to so It felt very natural and comfortable. I made a serious mistake that resulted in an accident. I consulted a couple attorneys. During my initial consultation with Wana, it was clear I wouldn’t just be another client to her. She was truly a committed advocate for me. Wana was very organized, comfortable to work with, and worked well with the State. I’m grateful to her and her team. I highly recommend Wana Saadzoi! She made my immigration process in PA go so smoothly. She answered all my questions and concerns no matter how big or small. She made time for me even if it was to simply exchange a small piece of information. She helped prepare me for my interview by having a mock interview before my date and this helped to relieve a lot of stress and anxiety. Her process allowed me to know what I was getting into before it happened. I’m now a U.S citizen and she helped me every step of the way. An Amazing Lawyer Wana Saadzoi!!!! I would definitely recommend Wana Saadzoi!!!!! She was extremely friendly and professional. She made sure I was aware of every step in the process and made me feel at ease throughout. Wana was always in contact with me and made it easy to get in touch with her when I had questions. My experience was truly amazing she will absolutely fight for you and I am glad to have been able to work with her. Could Not Have Prayed for A Better Lawyer. The level of professionalism from Wana Saadzoi and her staff was second to none. From beginning to end I have felt comfortable and secure in her judgement, and experience. From the start I could tell that I had made a good choice. You could tell that she was a former prosecutor because she not only told me about the punishments of my crime but also she was able to tell me what the DA was thinking and would probably do before they did it. When I meet with her she did not look at the clock like so may other lawyers. She went through everything and analyzed it with me from every angle and gave me many options. Keep in mind that I had yet to pay her for anything. At the end of our initial meeting I for the first time felt like I had a person that would really fight for me. There was no hype just the real thing. Long story short she was very proactive in everything I had to do to prepare for court. I could not believe it when after only our second court date she told me that my charges were being dropped. I thought she was joking but NOPE it was for real. Oh I almost forgot. While locked up I could not believe my luck when I was asking people who there lawyers were. I kept hearing Wana is my lawyer over and over. My cell mate told me that if she takes you case you’re lucky. So, I guess God was smiling down on me when I found her. Don’t be fooled by lawyers that promise you the world and say they can fix everything. She is a straight shooter and will always tell you things on the level. The good and bad. Me and my friends whom have used her will never go with another lawyer. Thank you so much for my freedom. I would highly recommend Wana Saadzzoi to anyone who is searching for a criminal defense lawyer. Wana was not only supportive to me and my family she was also very easy to get in contact with. She made sure that she was always in direct contact with me and was very personable. She was willing to go above and beyond to help me in my case and was able to resolve my case for me.